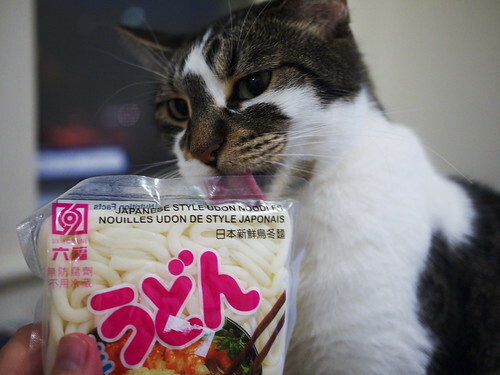 You think you are looking at a photo of a cat licking a bag of noodles. But you are only seeing what is in your mind. What is in your mind is an image of a cat licking a bag of noodles. But is it a bag of noodles that you imagine you are seeing? Or a cat? Do you even know where you are right now? I hope you do. It would be really strange if you found yourself lost, unable to name your own location, and decided to read my weblog and entertain my questions. Get help, weirdo.